Movie revenue has been declining gradually in the last few years. Whether it be by illegal downloading, or simply waiting for the DVD release, many consumers are finding other ways to get their film fix. 2011 had the smallest film audience since 1995. There is no denying that this is a serious problem for the film industry, and we’re going to tell them how to fix it. Although there is no denying that we all love the technology that surrounds us, technology has partially been the downfall of our beloved theaters. Websites like Piratebay allow easy and free access to newly released movies. When platforms like this exist, it makes it very hard, if not impossible, for movie theaters to compete. Although many might be angry with me about this, but it seems that movie theaters cannot thrive while Piratebay exists. The government would have to do more to destroy websites such as Piratebay. Theater tickets have increased in price over the past few years. The average movie ticket in the U.S. stands at $7.50. In 2008 it was $6.25. In 1995 it was $4.50. And so on. Also, with the rise in popularity of 3D movies, prices can easily rise 3 to 4 dollars, depending on the movie. These ticket prices make movies an unattainable choice for a family of four, on a middle-class budget. 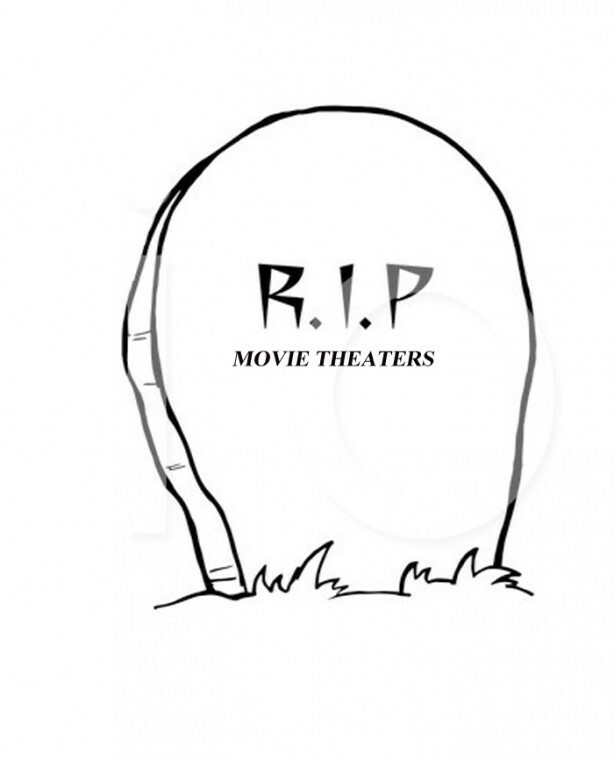 By simply searching for more money, theaters may be scaring off their audience. These ticket prices stop casual moviegoers from seeing a film, unless it’s a must-see franchise, like Harry Potter or Transformers. Don’t get me started on the food and beverage prices. A large bucket of popcorn can cost 7.50 or more at a theater. For cheaper than that, you could sneak in a full meal from almost any fast food chain (Which I am personally guilty of doing). Theaters must do more to lower the outrageous cost of their food. I think it’s pretty well known that Hollywood will produce anything that will turn a profit. Studios don’t care how bad a movie is, if it will make them money. Even veteran franchiseuy8s that make piles of money, take their fans for granted by constantly producing steaming loads of crap (i.e. Twilight, Transformers). After years and years of excessive commercialization, and lack of decent acting or writing, moviegoers have seemingly become cynical of any film or franchise they’re not familiar with. Every year, there are movie franchises like “Twilight” or “Harry Potter” that will be guaranteed box-office successes. Unfortunately, these films appeal mostly to a younger crowd (Although Harry Potter has a substantial adult fanbase). And let’s be real for a moment, many of these franchises are crap anyways (Twilight, Transformers, Pirates of the Carribean). However, these films are financially successful, and are usually unaffected by the scathing reviews. This past year, there aren’t many dark-horse surprises that sneak up on us. Last year, “The Help” and “Bridesmaids” shocked everyone, by grossing over 120 million each. Hollywood must work harder to find more hidden gems like these, to get moviegoers excited again. Fixing Movie Theaters is going to be a multifaceted effort. The studios and theaters must work together to increase consumer enthusiasm.